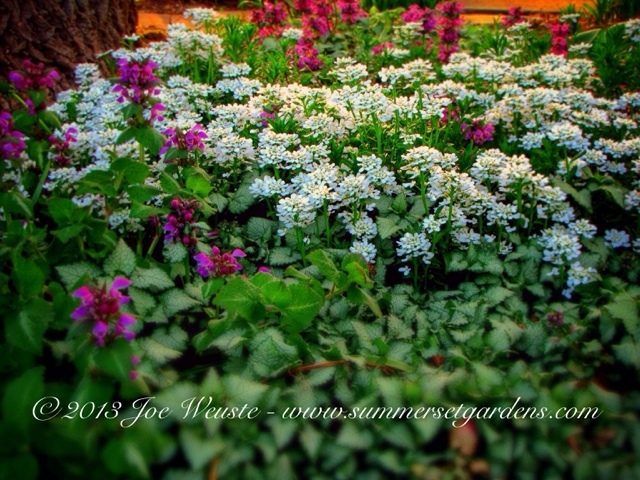 A planting design detail using a combination of Candy Tuft and Lamium. Landscape architecture and garden design and construction services in the NJ and NY areas. A wonderfull ground cover idea. How Long Before My New Landscape Fills In? Front yard garden design in NJ. A closeup of a planting design in a Ny garden.